Mega communities (1m+ members) often face a similar problem. To scale a community they need to facilitate sub-groups. If they let everyone create sub-groups, they will fill their communities with empty ghost-towns. However, they don’t have the resources to create and manage every sub-group themselves. The challenge then is how do you identify, motivate, and support people to create successful groups within an existing community? Not many organizations get this right. The two that stand out are StackExchange (via Area51) and Nextdoor. Both tackle this from a slightly different angle. StackExchange takes group creators on a 4-phase journey from defining the community, attracting commitment, beta, and going live. 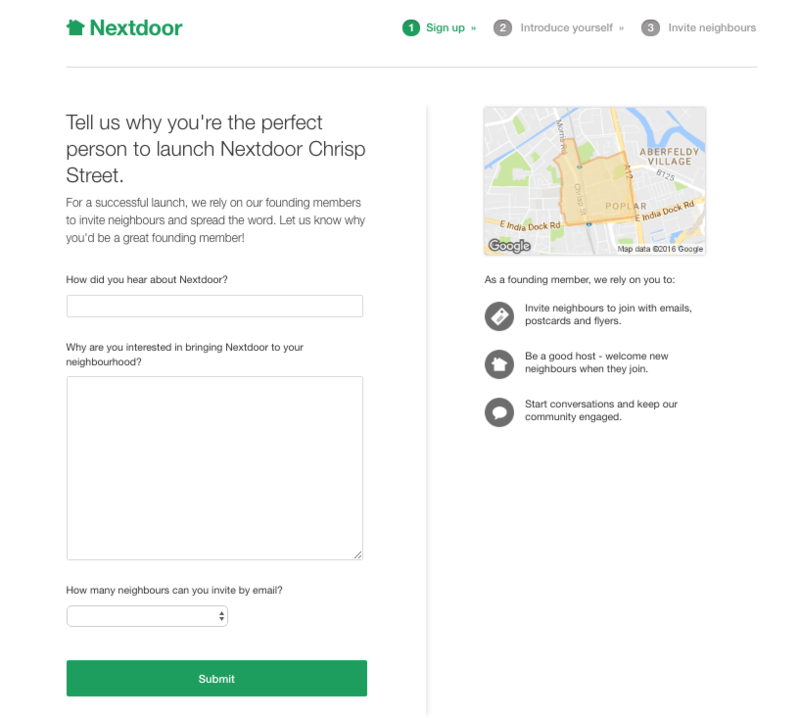 Nextdoor lets people create a pilot site for their neighborhood if one doesn’t already exist. They then have 21 days to hit specific targets. However, there are enough similarities in their approach to identify what works well here. You might not have the same resources, but you can embrace the same philosophy. 1) Limit Group Creation (encourage members to check if the group already exists). Don’t let members create groups where existing groups exist. First, make members check if the group for their topic already exists. 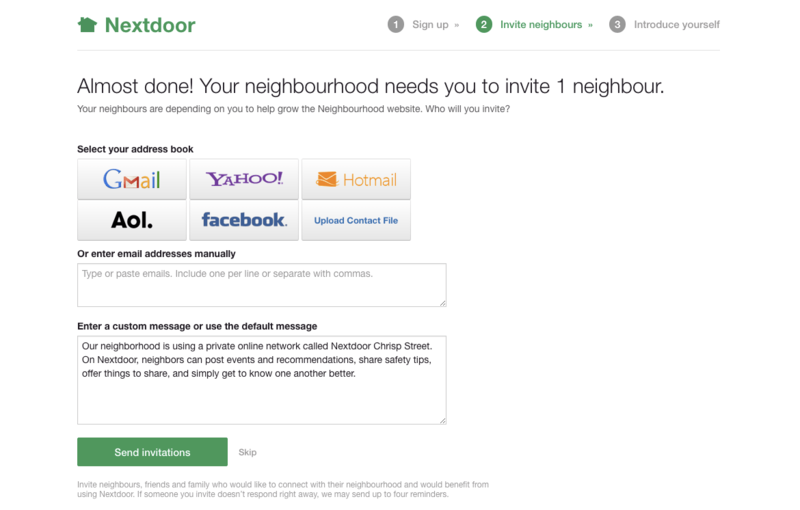 For Nextdoor it’s neighbourhoods. You type in your zip code to see if the network already exists. For StackExchange, you’re shown similar sites when you enter your proposed topic / title for the group. If the group does exist, you need to encourage people to join that. If it doesn’t, encourage people to create the group. But try to reduce duplicate groups and merge as many similar topics into one as possible. Creating and managing groups is hard. Most people don’t have the skills or motivation to make it work. You need to filter these people out. Creating a group shouldn’t be easy enough to let everyone do it. It should be hard to ensure only the right people do it. If someone isn’t willing to fill in some basic information, they shouldn’t be creating a group. This shouldn’t be something you let them do, it should be something they get to do if they’re good enough. If you want to create a group on Nextdoor, you have to explain why you’re good enough. On StackExchange, you can’t create a group at all. 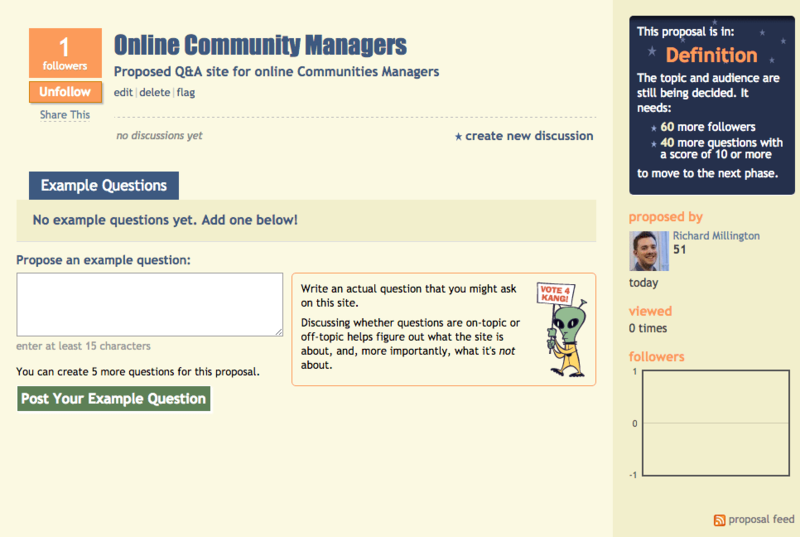 You can only propose a site and then fill it with example discussions that might be in the group. The last step filtered out the people who aren’t motivated. The next step filters out the people who aren’t qualified. When we researched The Proven Path, we noticed the only difference between successful and unsuccessful community founders were the number of friends they could invite to join the community to get things started. This makes sense. The more friends you have within the sector the easier it is to get things going. You’re also likely to be more knowledgeable and skilled within the topic. It makes sense to filter for connections and skills at this stage. This means a verification stage. You can verify anyone who wants to create a group has the right attributes to do it. You might ask them to share their LinkedIn Profile, CV/resumé, Twitter account, blog, or any other supporting information. You can pick anything you like. Perhaps asking them to list people they would use as references or highlight events they have attended. There is useful psychology behind this. People feel it’s more exclusive. 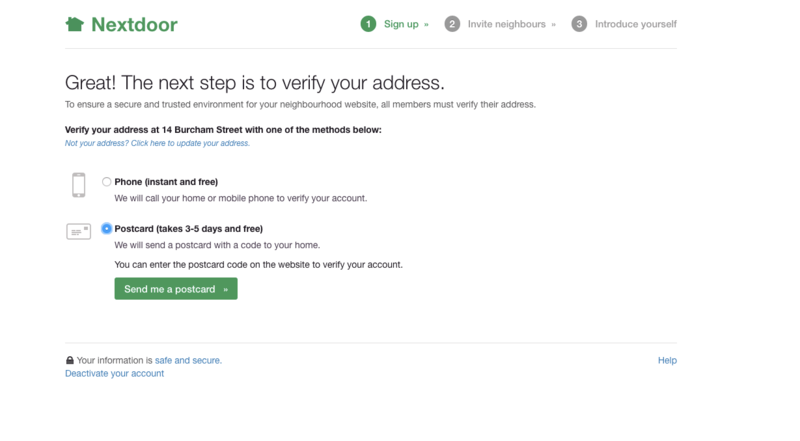 Nextdoor verifies people live in the area. You can do this by registered phone number or by requesting a code by mail. You could also limit group creation to people who had gained a high number of likes or influence within the community. At this level, you want to make group creators aware of the work involved in creating a group. This will deter some people. This is a good thing. It’s one less inactive group to shut down later. This outlines what happens next. 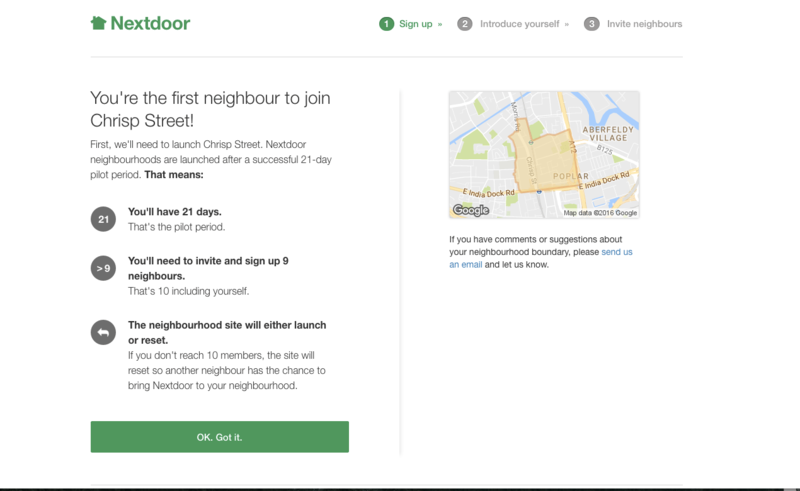 For Nextdoor, you have 21 days to get 9 more people to signup or the neighborhood will reset. This stresses the importance of taking action right now instead of waiting. It also gamifies the process a little by providing clear metrics to target. That’s 9 people in 21 days. That should be do-able for most people. StackExchange asks group creators to develop 40+ discussions with a score of 10 or more (upvotes minus downvotes) and attract 60+ followers. This is just for the definition stage. After this you need to persuade a large number of people to commit to the site to reach the beta stage. Once in the beta stage, you have to fill out the rest of the content of the site and keep discussions going. At this stage, you should have ensured that only the right people are creating groups and understand what’s expected of them. Now the challenge is supporting group creators to grow that community. Now you’ve filtered out the wrong people by initial motivation, skills/knowledge, and commitment, you want to help those that do create groups reach critical mass as quickly as possible. 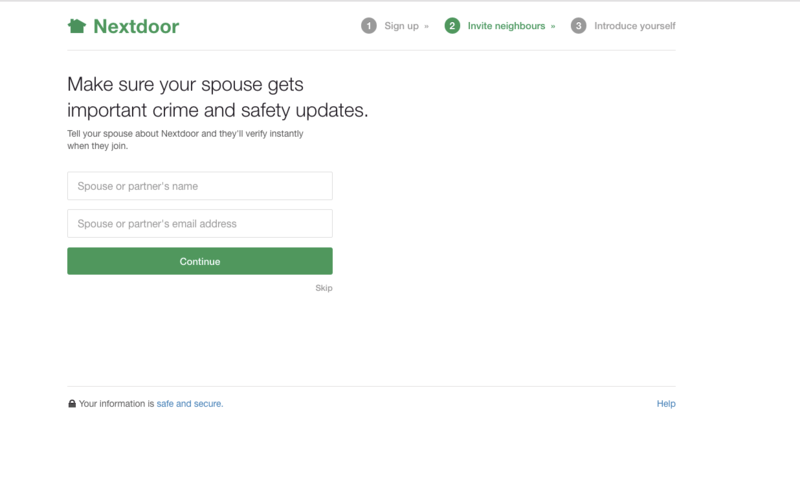 Nextdoor uses a really simple step, invite your spouse. This instantly doubles the size of the community. You might ask people to invite their boss, closest friend, nearest team members etc. By focusing on a single person they can invite you make the rest of the task seem easier. This works even if that person is only signing up for relevant updates. This is a relatively standard step now. Encourage the group creator to invite people from Facebook, Gmail, Twitter and other popular tools. If they are already in the community, you can let them invite others they are already connected to. A really powerful tool would be to let people do it via @mentioning them in a custom message. 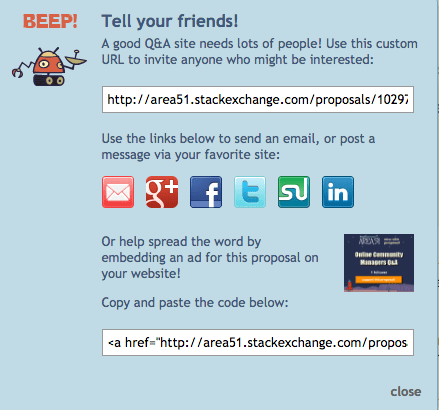 You can see the Nextdoor approach above with a custom message or the StackExchange process below. 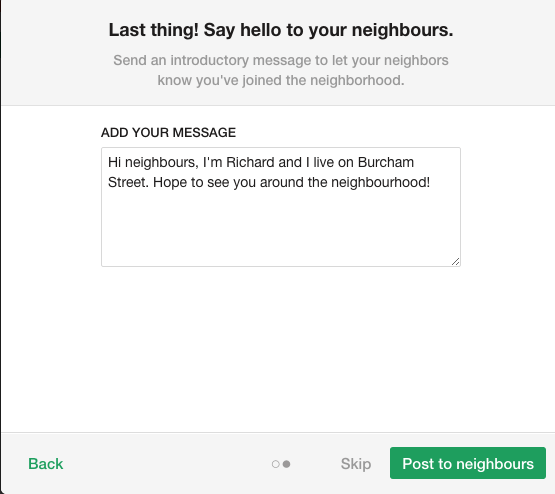 Nextdoor also lets you send a postcard to a limited number of neighbors inviting them to sign up. This is a clever tactic which removes the awkwardness of knocking on the doors of strangers and asking them to join. You can win big if you can remove the awkwardness from this step without overwhelming recipients with unsolicited spam (hence the limitation on postcards). While every group is unique, there are enough similarities between them to craft common messages. You can learn from your own experiences or borrow ideas from groups which are successful in engaging newcomers. This is probably one of the few areas where Nextdoor could improve. The best welcome messages guide newcomers to make immediate contributions. The best contributions are based on a newcomer’s demographics, habits, or psychographics. Who are they? What do they do? What do they think/feel about key issues? If you can set a default message along these lines (which each creator can adapt) you are going to significantly increase the number of newcomers which become active. The above represents most of the core steps involved in facilitating successful sub-groups. Ensure people search for existing groups first. Filter out the bad group creators by motivation. Verify skills/knowledge/resources of group creators. Highlight the process for creating a group and making sure it’s a success. Make it dead-simple for group creators to invite their first members. Ensure it’s connected to existing social platforms. This isn’t an exhaustive list. For example, you could build a peer group among group creators where the most successful could share what they have learnt. However, it’s definitely an upgrade on the approach most large-scale communities take to facilitate successful sub-groups. Don’t let everyone create a group. Make it harder to create a group and support the right people to succeed. p.s. this process works equally well for launching a new community from scratch. If you can’t list 40+ people who would take your call, sign up and identify a lot of questions that would kick-start activity you probably shouldn’t launch a community yet. You’ve gotta give it to Nextdoor for their growth strategy. Having worked at a startup trying to build the next Nextdoor in India, and having failed, I’m amazed how they do it. Especially #4: Highlight The Work And Next Steps Involved. Trying to understand “Why would people do that”, “What’s their motivation to get their neighbors on NextDoor”, is particularly interesting.